Well, the bowls turned out surprisingly well. Too bad I have to take half of the credit for them. Let's just say that if I had a 2 hour class, the students would have done 100% of the work. But, don't you find that sometimes it's just better to help them reach the final product than have a load of unfinished projects? Maybe if I would have saved this project for 6th graders, instead of 4th graders, I wouldn't have had to help them finish. The 4th graders spent a good 10 minutes getting over the oooey-gooey Art Paste instead of getting right to work. 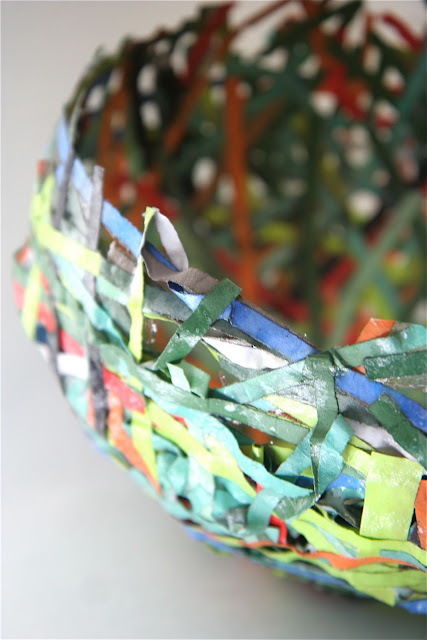 checked out your blog - great documentation of the paper mache bowls - beautiful and simple (but messy). I think you were THINKING! 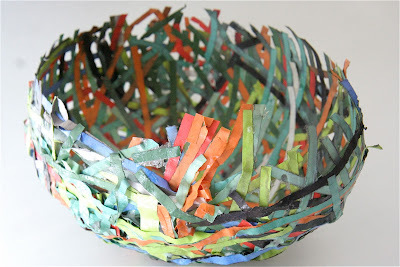 where's the link on how to make the bowls?